Every year, over a million mooncakes are wasted across the territory. Each family on average throws away 50 glow sticks. More than half of the families celebrating the Mid-Autumn Festival have leftover food following their reunion gatherings. Disposable cutlery used in barbeques during the festival totals as many as 5 million pieces… People enjoy themselves during the full moon, yet the environment suffers. Green Power launched a study some years ago to investigate the habits of Hong Kong people in celebrating the Mid-Autumn Festival and the problems that arise. This year, as the festival approaches, we urge the public to reduce waste at source and enjoy an eco-friendly festival. Waste problems from celebrating the Mid-Autumn Festival are alarming. Green Power launched the Mid-Autumn Festival Consumption and Celebration Habits Survey (hereafter “Mid-Autumn Survey”) in 2004, and interviewed families to gain an understanding of the ways they consume and use mooncakes and plastic lanterns and their celebration activities, as well as the amounts and causes of waste generated. Mooncakes are key elements of the festival. The production and sales of the cakes reach hundreds of millions annually. Our survey found that mooncakes are the main festival food; about 90% of all families will purchase, on average, 2 to 3 boxes of mooncakes. However, not all mooncakes are consumed. Many are thrown away as waste. Figures of waste mooncakes fluctuated in past years and there has been a slight decrease in recent years, showing that the problem is improving. But there are still millions of waste mooncakes each year. Our "Mid-Autumn Survey" shows that on average each family throws away around one mooncake annually; a seemingly low figure. But adding up the numbers, it will be over one million. If all wasted mooncakes were piled up, it would reach the height of 200 Tower Two of the International Finance Centre. The picture is alarming! Throwing away the mooncakes is not just an issue of food wastage. The great amount of food scraps poses a burden on landfills. The manufacturing, packaging and transportation of mooncakes also generates a lot of carbon emissions. Last year alone, for example, it is estimated that a total of 1.8 million mooncakes were thrown away by all families in Hong Kong, equivalent to the emission of 1,200 tonnes of carbon dioxide, which would be absorbed by 100,000 trees in a year. The survey found that the main cause of the mooncake wastage is receiving too many as gifts. The second reason is that not all can be eaten before the due date. 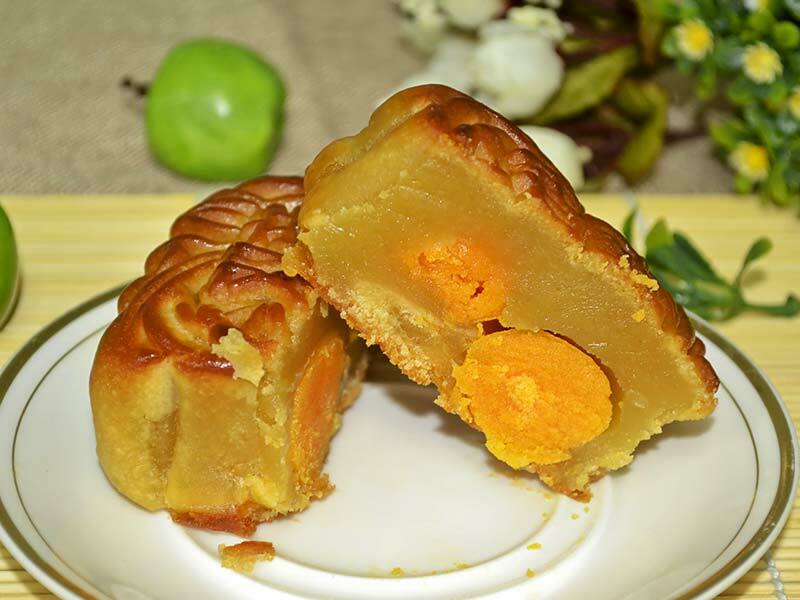 Although the survey did not investigate the situation with different kinds of mooncakes, it would be a sound guess that snowskin mooncakes, which have become popular in recent years, are more prone to wastage due to their shorter shelf life. In last year's "Mid-Autumn Survey", an interesting fact was revealed – mooncakes are not really so popular. There are more respondents who do not like to receive mooncakes compared to those who do; the ratio is 7 to 3. Among them, 20% indicated that they greatly dislike receiving mooncakes. On the other hand, the survey also found that there are more people purchasing mooncakes as gifts than for consuming themselves. In other words, while people in general do not like to receive mooncakes, they like to give mooncakes as gifts. This is quite ironic. The "Mid-Autumn Survey" also investigated how mooncake packaging affects people's purchasing. The results showed that brand name and price are the main factors affecting the buying decision. There are some, but not many, people saying that eco-friendly packaging will attract them to buy. The packaging problem of mooncakes cannot be taken lightly, as mooncakes are often purchased as gifts with luxury packaging. The environmental problem is more severe. A box of mooncakes includes a metal container and individual plastic cases and plastic bags for each mooncake. For some more "luxury" packages, there are even individual metal boxes, silk cloths, plastic knives, plastic forks, and complicated box support items. Green Power earlier carried out an investigation in several large chain cake shops and found that in one gift set – "Seven Stars and the Moon" (with 8 mooncakes), there were as many as 47 packaging items. On average, an ordinary 4-piece box may include 11 packaging items. Apart from the metal that can be reused, other items become waste due to hygiene issues or low recycling value. Therefore, each year enormous amounts of unnecessary packaging items are sent to the landfills. In the last two years, some manufacturers put eco-friendly packaging on the market, with the outer box made from recycled materials or with the box convertible to a usable storage drawer. Yet these account for only tiny portion of the market and consumers do not have a real choice. Many people celebrate the Mid-Autumn Festival with a reunion meal. Our survey showed that about half of the families interviewed have leftover food from the reunion meal. The main reason is that excessive food is prepared for the festival as compared to ordinary days. Although most families will still consume part or all of the leftover food, about 10-20% of families will throw away all the leftovers. And quite a few people will choose to go to restaurants for the reunion meal. The survey found that more people tend to throw away the leftovers as compared to those eating at home. In addition, there is the issue of disposable cutlery, leading to more wastage. In recent years, more families have opted for buffet or all-you-can-eat meals for the reunion. Studies have shown that in preparing for the buffet meals, restaurants must prepare 30% extra food. A buffet culture brings a serious food wastage problem. Lanterns are a "must" in celebrating the Mid-Autumn Festival. Our survey showed that only 20% of families celebrate the festival with lanterns, and 80% of those who use plastic lanterns will reuse them. So this is less of a problem. However, the "Mid-Autumn Survey" revealed that some 30% of families purchase and throw away glow sticks. A box contains a few dozens slender glow sticks. Each family on average uses and throws away 50 such sticks; the number is enormous! 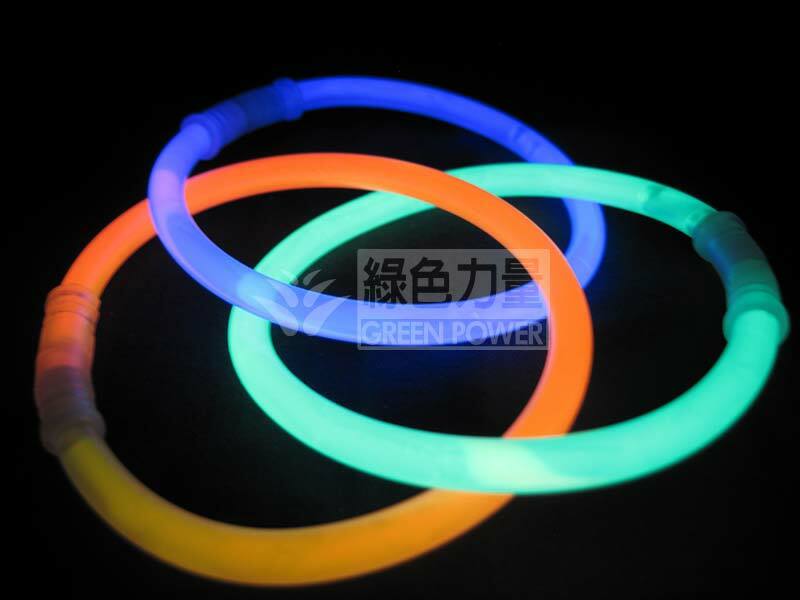 The disposable glow sticks last for only a few hours and cannot be reused or recycled. More importantly, the sticks contain toxic chemical substances. On leaking, the liquid can harm the eyes and skin, and when abandoned they may pollute soil and water. A little glow stick may cause great harm for the environment. To spend an eco-friendly Mid-Autumn Festival – as with other issues involving waste, it is most essential and effective to reduce waste at source. Our past surveys have revealed that the largest issue of concern is the throwing away of large amounts of mooncakes, though the situation is improving. Surveys indicated that most people do not enjoy receiving mooncakes as gifts, and 70% of respondent families remarked that there are other ways to replace the act of giving mooncakes, such as watching the moon together and visiting others. This year, in preparing for the festival, we should think carefully about the need for giving mooncakes. Older members of the family usually receive the most mooncakes, and family members should coordinate among themselves or else repeat gifts will lead to more wastage. Over packaging of mooncakes seems to be the responsibility of the manufacturers. Consumers and producers, however, do interact. Surveys have found that there is little preference for eco-friendly packaging in choosing mooncakes. Yet this may be because there are few choices of such packaging in the market. Last year, for instance, only one large mooncake brand offered eco-friendly packaging, and only for less than 20% of all its mooncake products. On the other hand, if consumers show a preference for eco-friendly packaging, manufacturers will put more focus on this market and there will be more and more eco-friendly or simple packaging for us to choose from. As for the reunion meal, in recent years, there are calls in Hong Kong society for minimising leftover food. There are also suggestions that a few dishes may be taken out from the set meals in restaurants. We can opt for such restaurants this year, and avoid buffet meals. If we are eating at home, leftover food can be prevented, as past surveys showed that most people prepared more than they needed during the festival. This year, we should also say no to glow sticks, which pose great harm and do no good to the environment. In general, environmental awareness of Hong Kong people is high. In recent years, 90% of respondents of the "Mid-Autumn Survey" indicated that they support an eco-friendly Mid-Autumn Festival. Yet due to traditional habits and attractions of commercial advertisements, there is a great gap between awareness and practice. In fact, a traditional festival can also be environmentally friendly. The core meaning of the festival is reunion of family and friends. A simple meal, practical gifts of goodwill, or a lantern that lasts for years, will not make a festival less formal, but can reduce waste and contribute to the environment, which is certainly more meaningful. The Mid-Autumn Festival is celebrated in different ways in different places. In Hong Kong, there is the custom of fire dragon dance. Some 70% of people do not like to receive mooncakes as gift. A mooncake gift box set contains as many as 47 items of packaging. Glow sticks pose great harm and are no good for the environment. This year let's choose options other than buffet or all-you-can-eat for reunion gatherings. Mooncake box is another major source of festival waste.